We welcome Dr. Appelstein to our practice for his expertise in endodontics (root canal specialist). Dr. Appelstein received his D.M.D. from the University of Medicine and Dentistry of New Jersey in 2000. He attended the University of Pennsylvania for his endodontic residency. 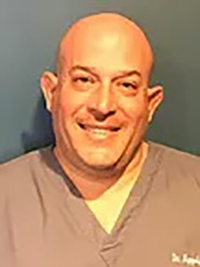 Aside from being a private practice Dr. Appelstein practices at four locations throughout New Jersey and Pennsylvania. He is the father of two children and enjoys cooking and golfing in his spare time. He is a welcomed asset to our practice.